Chef Robert Clark of the Fish Counter. Photo by Charles Thompson. 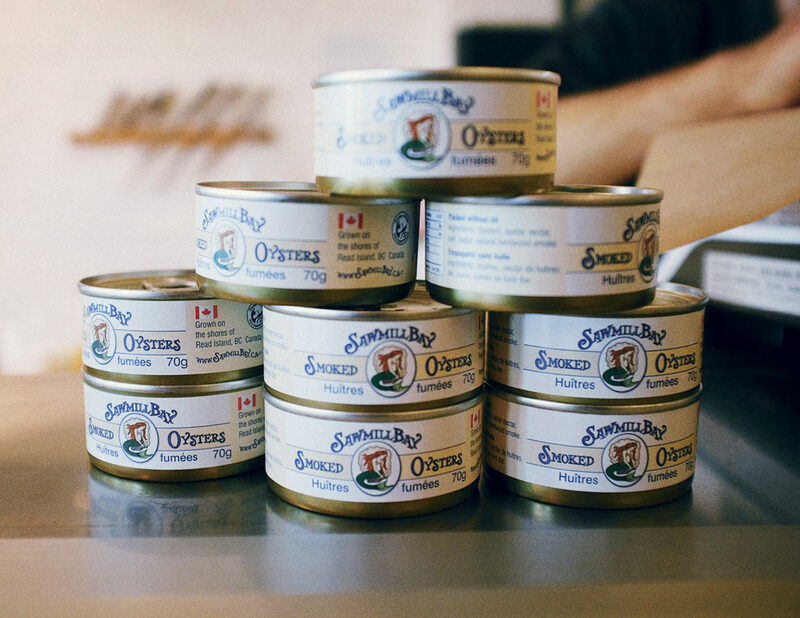 Tins of Sawmill Bay smoked oysters. Photo by Charles Thompson. Whole steelhead trout. Photo courtesy of Ocean Wise. 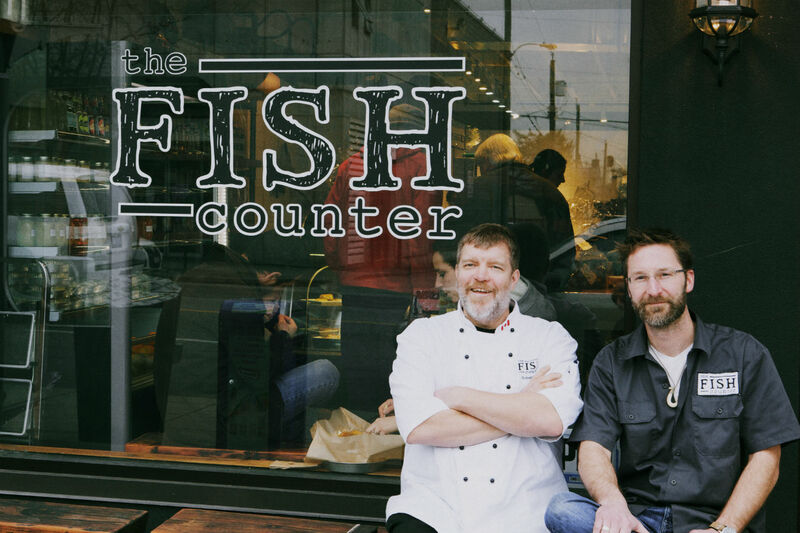 Fish Counter chef Robert Clark (left) and co-owner Mike McDermid. Fads come and go, especially in the fickle world of food and drink. But one trend not going away any time soon is the role of the chef as advocate for responsible dining. 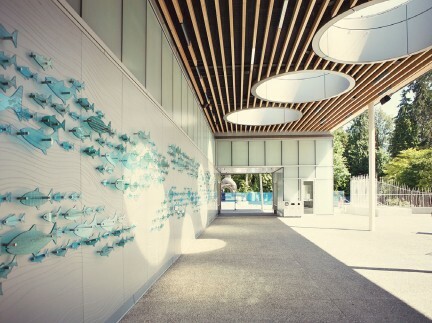 This year marks the lead-up to the 10th anniversary, in 2015, of Ocean Wise, the Vancouver Aquarium’s initiative to make diners and consumers at large aware of the seafood we eat, its origins and, most importantly, its sustainability—or lack thereof. The genesis of Ocean Wise goes back to 2004, and a meeting of the minds at then–cutting edge C Restaurant. 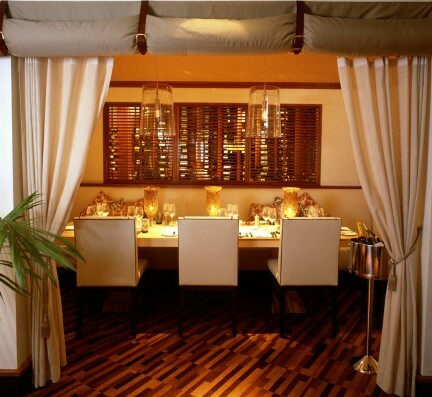 When it opened, C was the first formal kitchen in Vancouver to offer only seafood on its menu. 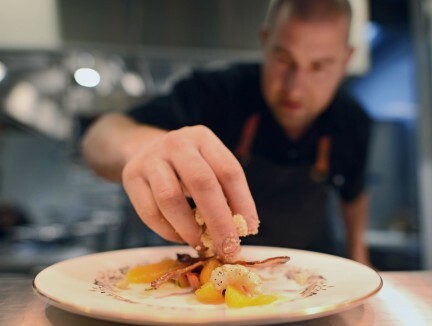 After a few years at the helm, C executive chef Robert Clark and the Vancouver Aquarium began to lay the foundations of a program that would encourage chefs to be more discerning as to how they sourced their seafood. When Clark first arrived in B.C. in the early 90s, he had relished the prospect of having access to what most at the time believed was a limitless supply of fresh seafood which the West Coast (and the world at large) had to offer. Not quite. It was in that decade that people noticed things starting to go awry; the collapse of the Newfoundland cod fishery in 1992 was a dramatic wake-up call. 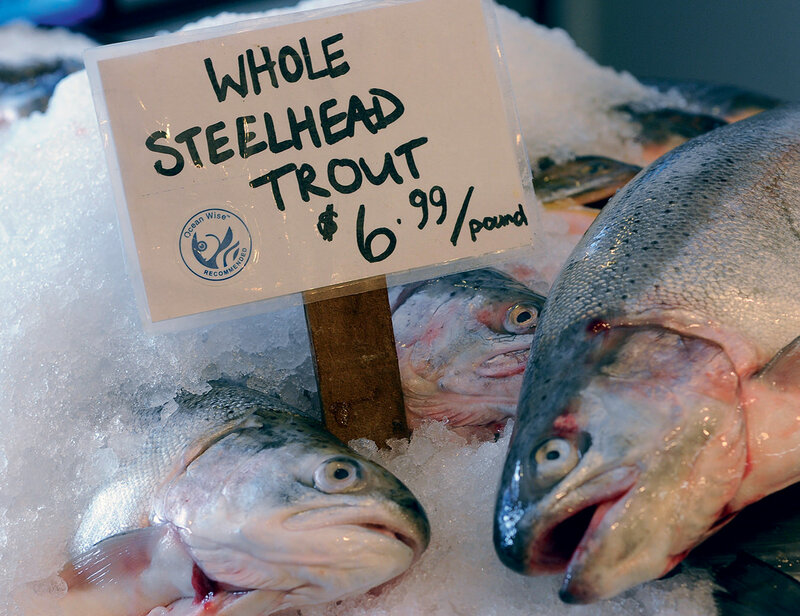 With assistance from Christina Burridge of the BC Seafood Alliance, Clark began sourcing alternative species, including the then uncommon sablefish, albacore tuna, and spot prawn, now standards on many local menus. Clark also hooked up with fishers Fred and Linda Hawkshaw of Prince Rupert. The Hawkshaws supplied C with their tangle net–caught Skeena sockeye. It remains a groundbreaking—but as yet largely unadopted technique—that virtually eliminates by-catch-mortality. 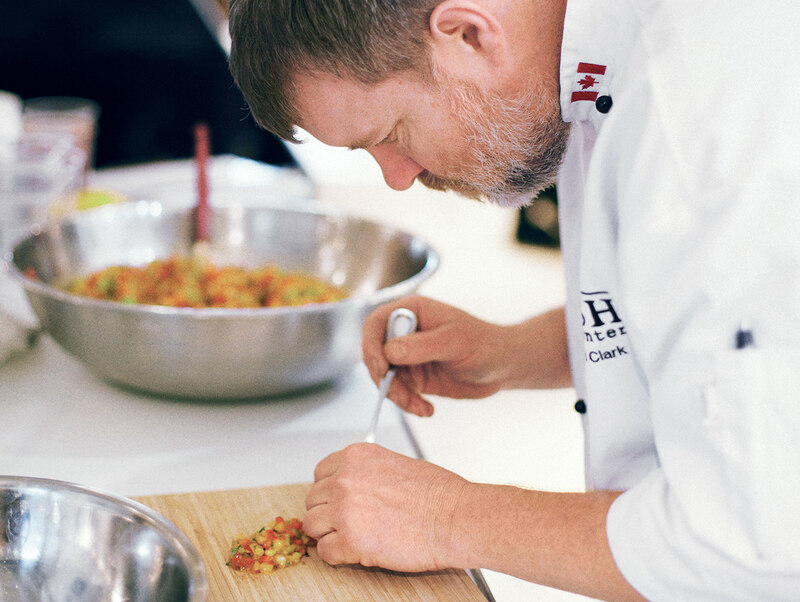 However, Clark realized the only way to have a real impact would be to enlist the support of his fellow chefs—something not easily achieved in the cut-throat, bottom-line trenches of the restaurant industry. Yet by the time Ocean Wise launched, Clark had a cadre of respected and proactive peers on side. That formed the foundation for a network that today spans the country, with over 525 partners and thousands of partner locations. Others also strive hard for sustainability, such as Blue Water Cafe’s Frank Pabst, whose annual Unsung Heroes menu (introduced a year prior to Ocean Wise) continues to shine the spotlight on more unusual species. 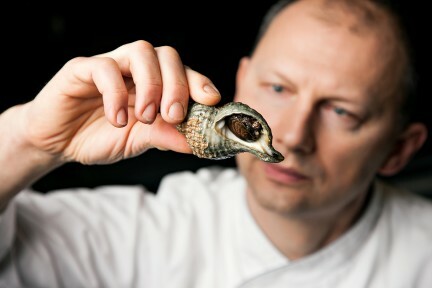 Four Seasons Yew Restaurant + Bar executive chef Ned Bell is another tireless supporter. One of the toughest nuts to crack has been the sushi phenomenon, which has transformed the culinary landscape. Pressure on species such as Blue Fin tuna is extreme, with some stocks near depletion. Gradually, though, sustainable sushi has been catching on and the last few months has seen the unveiling of a handful of 100 per cent Ocean Wise sushi bars (almost unthinkable a few years ago), including Fairmont Pacific Rim’s RawBar.